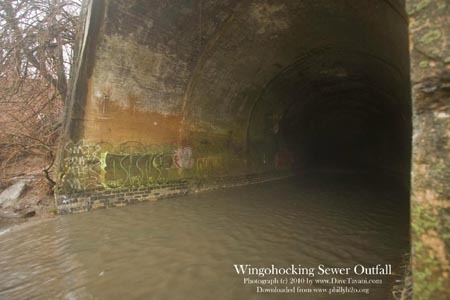 The first three videos were shot in Juniata Park, near I and Ramona Streets in Philadelphia, just downstream from where Tacony Creek and the 21' by 24' outfall of the Wingohocking Creek Sewer combine to form Frankford Creek, across from the Juniata Park Golf Course. 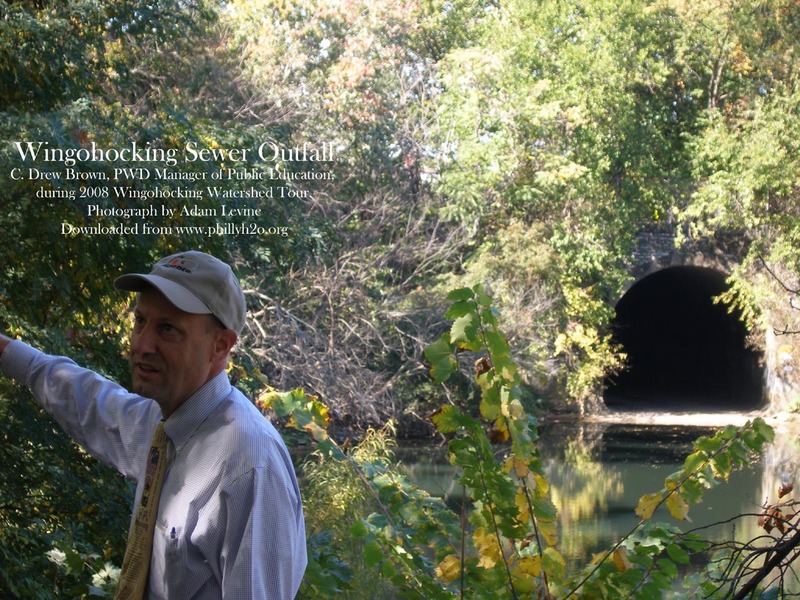 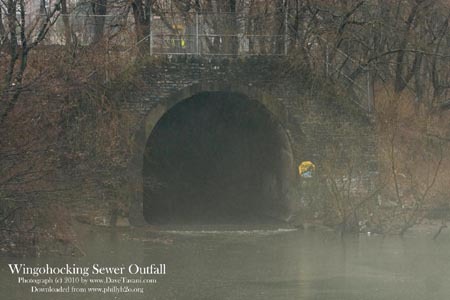 Chris Dougherty's video (from his informative blog about Philadelphia, necessity for ruins) focuses on the overflowing sewer. The other two videos, by Youtube user Yashea, focus on the high flow in Frankford Creek during an August 2009 storm. 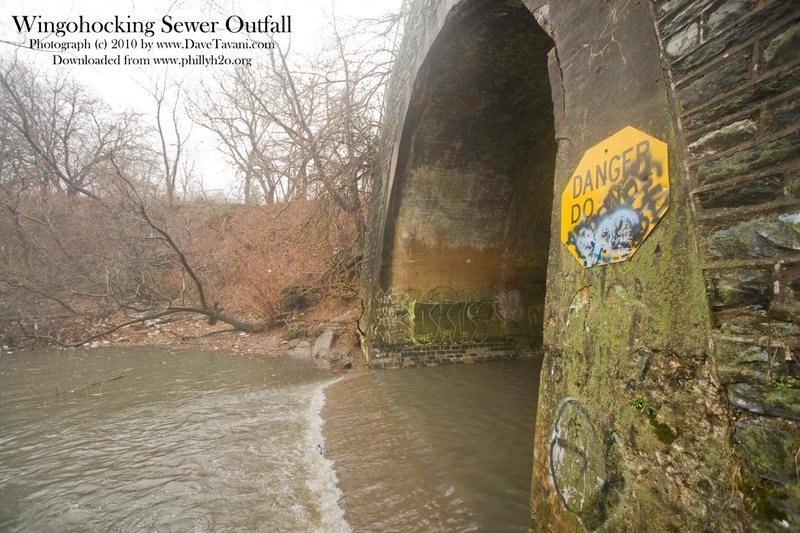 The high water and the amount of trash and debris that flow past their overlook are a sad commentary on the state of urban streams today. 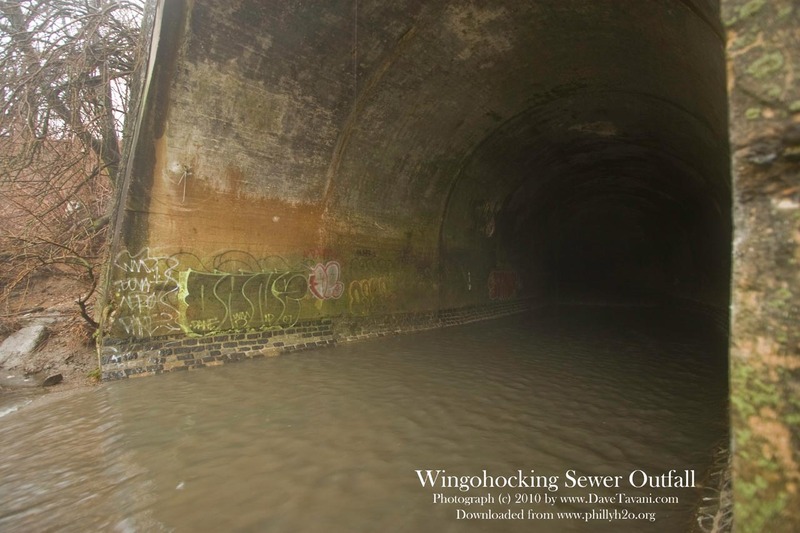 Also included below are two videos about San Francisco's sewer system produced by the SF Public Utilities Commission, and photos of the Wingohocking outfall by Dave Tavani and me. PLEASE NOTE that sewers are dangerous even in dry weather, because of the possibility of flash flooding and the accumulation of noxious gases, and should never be entered by anyone but trained sewer maintenance personnel. 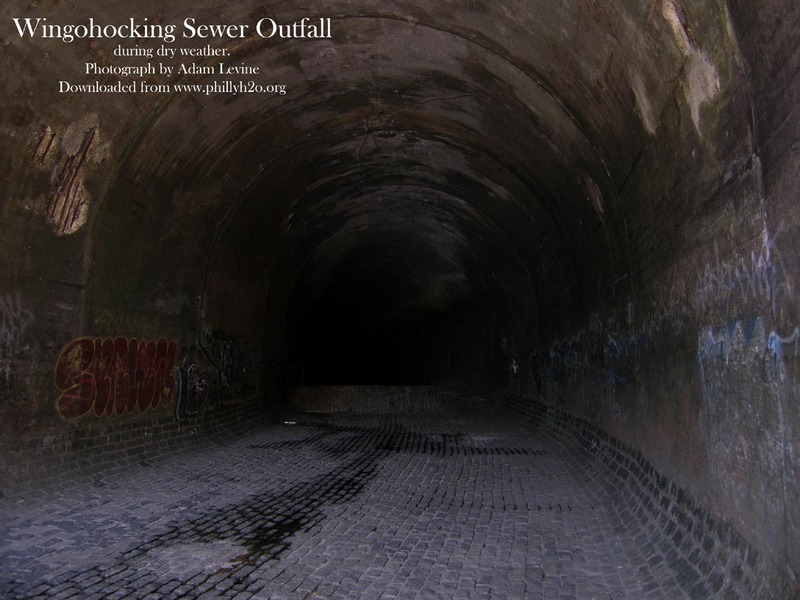 Two interesting videos, about the sewer system of San Francisco, can be viewed below.